This comprehensive Mass Building System will teach you how to add 10, 15, even 20 pounds of quality muscle in just a few short weeks. For men and women! 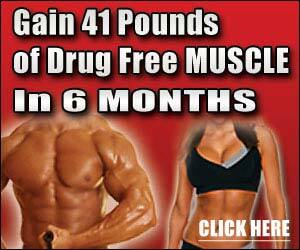 This set includes both the Ultimate Muscle Training Program and the FREE Anabolic Nutrition Program!